The newly elected president of the International Hockey Federation (FIH) and the current chief of Hockey India, Dr. Narinder Dhruv Batra, has vowed to transform world hockey and bring in quality and revenue to the sport. Speaking to the media on his return to India on Sunday, he said that the issues between India and Pakistan hockey federations have been resolved in a detailed meeting which happened in Dubai before the presidential election of the FIH and a possibility of a bilateral series between India and Pakistan cannot be denied. This surely is some good news for the hockey fans, waiting to see the two strong teams go up against each other. Pakistani players were condemned by Hockey India for their obscene behaviour against the Indian fans and the media after the Champions Trophy semi-final which Pakistan won 4-3 and soon after the win, Pakistani players started celebrating wildly, removing their shirts and using abusive language directed at the Indian fans. FIH didn’t take any strict action against the players, however, the Indian Hockey Federation decided not to host any FIH events in India until strict actions were taken by the FIH against Pakistan. The air now seems to be clear and if there are no political interferences, the fans might get to see an India-Pak hockey match soon. 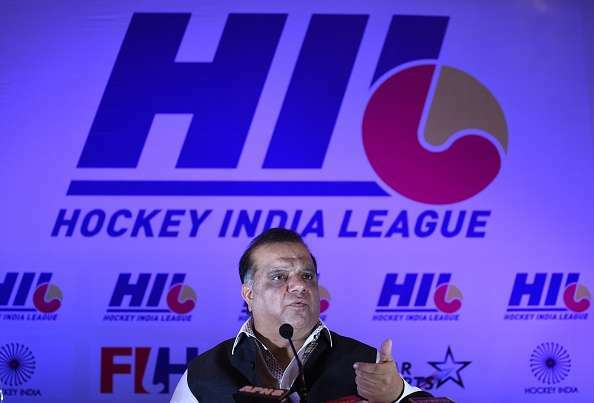 Narinder Batra, who currently also holds the post of Indian Hockey chief is likely to resign and on being asked about who he thinks will be his successor to the prestigious post, he stated that that remains the decision of the board. He also spoke about his focus on bringing in more countries to play the sport and raising the revenue of hockey in all the participating countries. “My job will be to revolutionise hockey all over the world, the graph of Indian hockey that has been going upwards for few years certainly is going to rise. Board and members will decide who, after me, will take over the post of Hockey India chief,” he concluded. Batra is a visionary and is often considered to one of the key game changers of Hockey in India. After being elected as the chief of Indian Hockey he took the revenue of the federation from a mere USD 5,00,000 to USD 14 million. Speaking about his plans, he also said that it’s time we make hockey a global sport and involve as many countries and young players as we can to bring a brighter array for the game in the future. In the 92 years of FIH’s history, he is the first ever Asian to have been elected as the president of the premium foundation and under his presidency we can expect Asia to be the power centre of the game and India to regain their lost glory.